Their college days went like clear water. RagSan develop feelings for each other. Meanwhile, SwaLak have positive feelings towards each other. Kavita don’t like Ragini much. She thinks Sanskar is spending more time with Ragini than with her. Eventually, Ragini starts avoiding Sanskar. One day, Sanskar’s department head called him. Head: now a days you are appearing in corridor with your junior. What’s the matter? Sanskar(smiles): nothing, sir. Just friends. Head: friends means ok. If it is love, expose to her soon. Because you are famous boy in our college, then some other come inbetween you both as villain. Sanskar: i will take care of it, sir. Head: our college is hosting inter college competition, there should be few guest performance by our college students. Already, i selected few and you also in that list. Sanskar: no, sir. I won’t. Head: i know Sanskar, you are a very good dancer. Come on cheer up man. I wish other college students should admire your performance, how once our college admire yours. That too this is your last year. You can select anybody as your partner. Sanskar meet Swaragini and Laksh in canteen. He tells them that Professor asked him to give guest performance in cultural. Swara: wow, do you know dance? Laksh: he is a rock star of our college. Ragini: then why are you hesitating go on Sanskar. Sanskar: then you dance with me as partner. Ragini startled by his sudden offer. Swara: good idea. She will dance nicely. (Swara pull Ragini and hissed in her ear) this is good chance. Don’t miss this chance. Laksh(hissed in Sanskar’s ear): this is best chance. You will get privacy to speak with her. Just propose her. Ragini: Ask Kavita once, if she denies, i will dance with you. Sanskar: Rags Kavi is engineering department, competition will be held in our arts campus. So, Kavi can’t perform in it. (He raised his voice little higher). Why you now a days always taking Kavi’s name for everything? Ragini(scared): no… nothing. She will give you good company. Because she knows your style. That’s it. Sanskar: i am fixed you are dancing with me. Don’t worry free style only. No romance and duet song. Before she completes Sanskar left that place. Swara looks at Ragini angrily. Swara: who ask you to take that Kavita name? Now a days you are behaving like Sanskar is third person to you. Ragini: nothing like that Swara, i just asked him our performance should not create rift between Kavita and Sanskar. Swara: just stop saying that name. You are behaving weird. Just tell me when you are going to propose him? Ragini(hesitatingly): i think he is just my crush. So, i am not going to propose him. Swara: what? Don’t try to lie to me. I know how much you have love for Sanskar. Why are you hiding it? Ragini: no, i never have any feelings for Sanskar. Swara(with concern): if anything trouble you, just tell to me, i will find solution. Ragini: Swara, please leave me alone for some time. Swara takes her books and left that place. 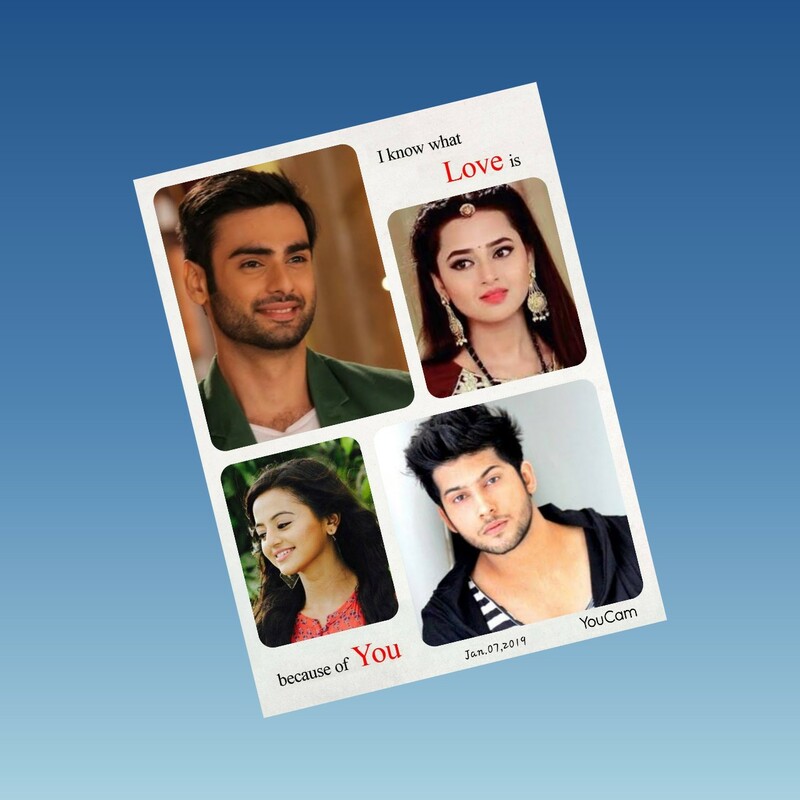 Ragini’s POV: I love Sanskar immensely. His happiness is my happiness. But his love is not me. It’s Kavita. Then, how i will propose him? I don’t wish to come inbetween their love life. RagSan starts practising for their performance. Day before to dance performance Sanskar comes to Ragini. Sanskar POV: Today i should propose her. Sanskar: Ragini i wish to say something to you. Suddenly his mobile rings, he picks the call and engaged in talk. Ragini waits for him. He turns to Ragini. Ragini: we will speak later Sanskar. See now itself dark. I have to go and prepare for exams. Sanskar look at her disappointedly and nods. Next day, auditorium fully filled with students. RagSan where getting ready and SwaLak help them. Then SwaLak stands in corner of Auditorium due to lack of space. RagSan start their performance. RagSan appear on stage with coolers. Applause sound tear ear drums of everyone. Because it’s their Sanskar who is dancing. He is the dream boy of most of the girls of his college. They give a rocking performance. Auditorium full of applauding noise. Swalak happen to hear few students tell that RagSan looks cute together. They are cute couple. Swara: these people know, but that Ragini didn’t realise it. Laksh: what? Whether Ragini have any feelings for Sanskar or not? Swara: initially she had. I think now also she has. But she is denying it. Laksh: you know what? Sanskar loves her madly. Swara: really? Ragini too has. Laksh: till date i never see Sanskar have deliberately wish for anything. She is his first wish. Please make her understand Sanskar’s feelings. Swara: i am telling na Laksh. She has same feeling for Sanskar. But something is troubling her. We should find that first. Laksh: We will interrogate her about this tomorrow. Sanskar: Ragini shall we walk. Ragini nods. Both walk in deserted road. Ragini: how is Kavita doing? Long time no see. Sanskar: she is preparing for her exam. Sanskar is about to propose her. Ragini holds his shirt. 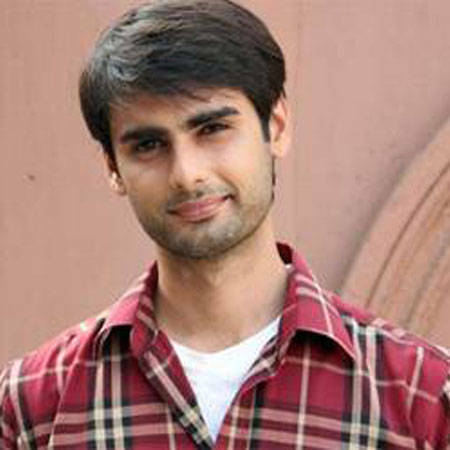 Sanskar look at her dreamily. But she is looking in another direction. Ragini: Sanskar, see there, Peocock. Rain will come. Sanskar is seeing her smiling face after long time. He look at her without taking his eyes off. Ragini turns to him and see her hand clutching his shirt. She take it immediately. Both resume their walk. Sanskar: Ragini, your silence is killing me. Why you are avoiding me these days. Ragini POV: Why my silence should affect Sanskar, when he is in love with Kavita? What if Kavita lies to me. I should clear my doubt. If i ask him like that what he will think about me. He may think i am doubting him. Sanskar hold her hand lightly. Ragini came to sense. Sanskar: whether i did any mistake, Rags? Ragini look at him blankly. She is about to ask his relationship with Kavita. Thunder falls, she hugged Sanskar in fear. She clutched his backside shirt tightly. Sanskar hold her in securing manner. It starts raining within a second, Ragini moves from him. Sanskar pull her towards him, she dodged his chest. Both have an eyelock. This rain add heatness into their body. Sanskar cups her face and move close to her lips. “We both are in love” kavita’s words echoed in Ragini’s ears. She pushed Sanskar away and run towards her hostel with tears.